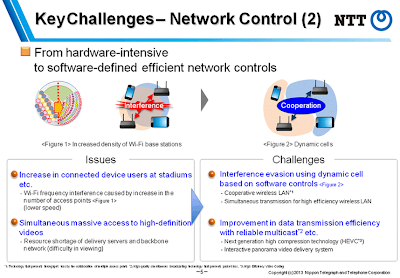 NTT published a presentation outlining its ambition to deploy the most advanced Internet access infrastructure in the world by combining wireless (including Wi-Fi) and fiber-based communications. NTT is forecasting a global network load of 40 zettabytes by 2020 driven by a nation wide migration to ultra high-definition video (4K/8K), multi-angle viewing and multiple devices per person. 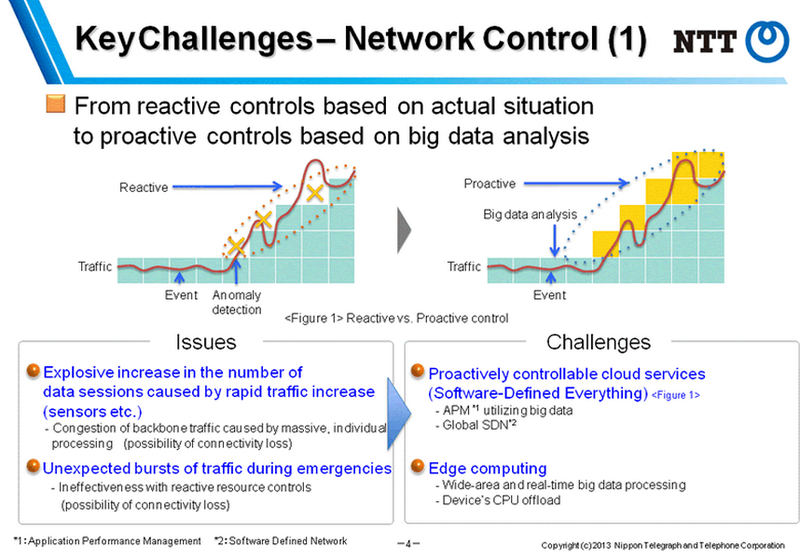 To handle these loads, NTT is looking to dynamic network traffic control where Big Data analysis can be used to guide the massive number of user sessions. 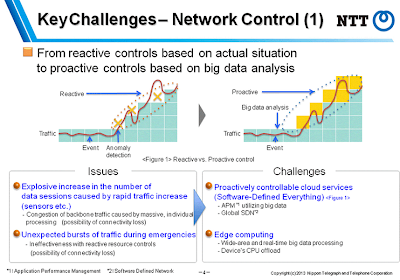 The goal is Software-Defined Everything, where proactively controlled cloud services can avoid backbone congestion. The shift from hardware-intensive to software-defined network control will also be seen in the wireless domain. NTT foresees Wi-Fi frequency interference evasion by using dynamic cell-based software controls. This will create cooperative WLANs. 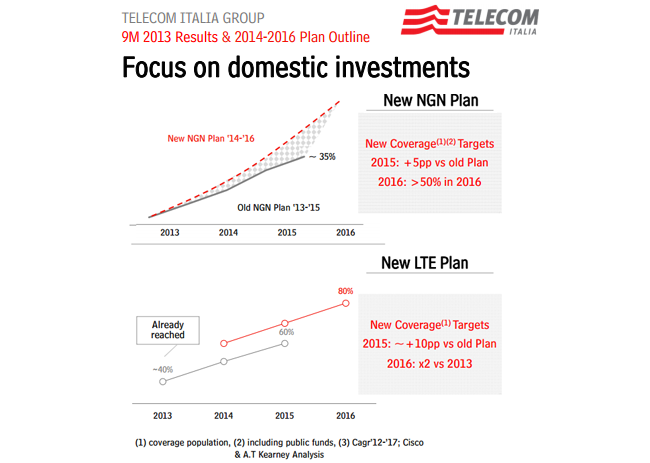 Data transmission efficiency will also be addressed by better, next-gen, high-compression technology (HEVC) and better multicasting. TELMEX has launched a Private Enterprise Virtual Data Center service under a technology partnership with Cisco. 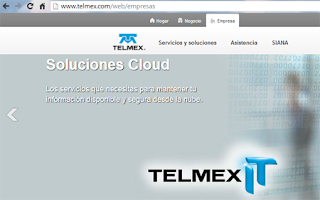 The new TELMEX service provides clients with access to a whole network, security and computing resources infrastructure that can be used as an extension of their current Data Center, as a new Data Center connected to their private network, or as a backup of their operations. Customers can manage their own Virtual Data Center resources through a self-provisioning and self-management portal, supported by Cisco Unified Computing System (UCS), Cisco Nexus and Cisco ASA. solution (Adaptive Security Appliance).